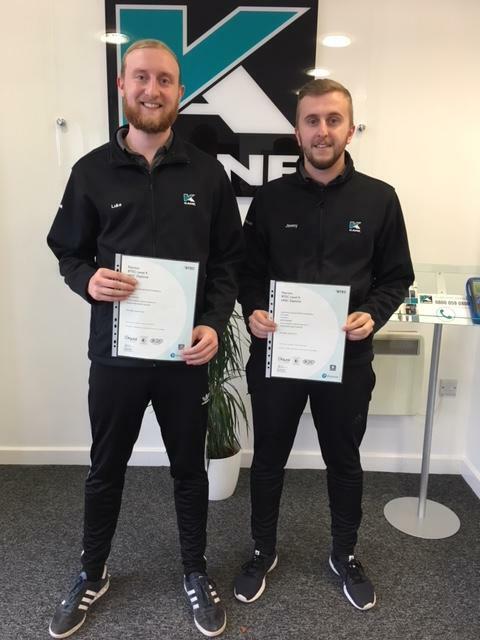 Jimmy started with KANE as an apprentice 6 years ago and Luke 5 years ago both completing a 2 year City Guilds course at Bolton College which then led them to study for another 2 years for their HNC at Wigan College. Steve Halliday, Service Manager at Kane's Northern Customer Service Centre commented “I’m delighted for them both, they have worked hard and this goes to show hard work pays off”. So, rest assured if you return your analyser to KANE it is in safe hands as our Technicians are trained to the highest standards.